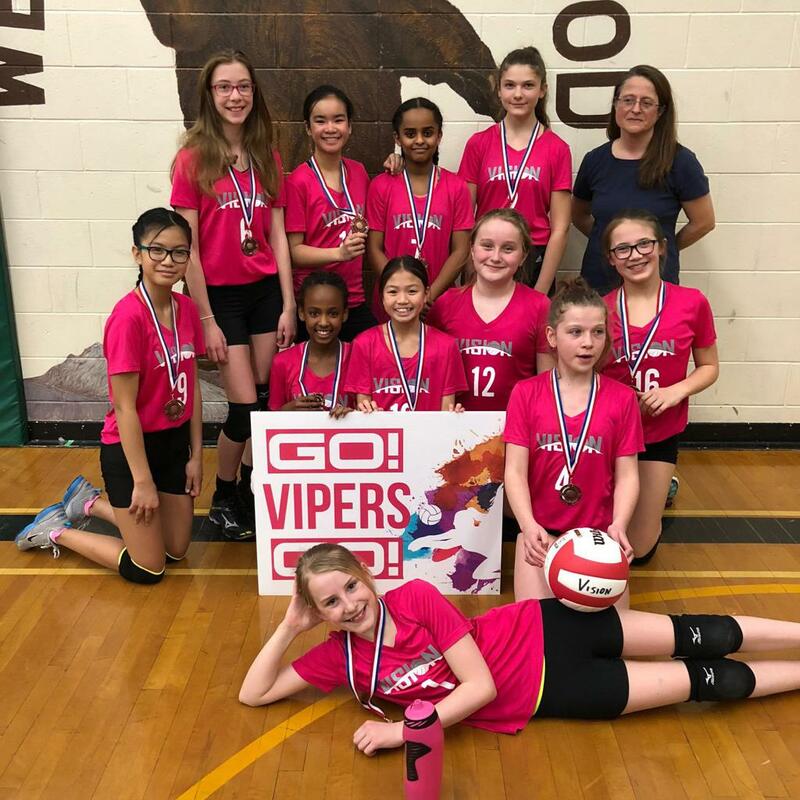 TIER 4 - Introductory (grade 5-6 Boys & Girls) Click: "Vision Juniors"
NOTE: If there are not enough teams for four tiers we combine Tier 1 with Tier 2 and/or Tier 3 with Tier 4. When: Sunday afternoons with younger teams playing first. Time: 12:00pm-7:30pm (each team plays 2 back to back games every Sunday) See our schedule: TIERS & SCHEDULES! Teams practice once per week at a venue in their catchment area. Athletes are placed on teams at Evaluations (see below for complete details). All Seasons end with a Championship Tournament with awards presented to top teams. All registrations are now done online. Simply click on the "REGISTER TODAY" button to complete your registration today! Early-bird registration (Fall Season): before September 1: $165. Early-bird registration (Winter Season): before December 1: $165. Early-bird registration (Spring Season): before March 1: $165. There is no registration deadline prior to the start of season. In fact, once Evaluations are completed there are normally a few teams still looking for players. These are posted at the top of this page until all teams are full. If you are registering more than one child you are entitled to a 25% discount on the additional children. You can do so by paying online and the second athlete gets an automatic discount when checking out. LOCATION: John Pritchard Junior High, 1490 Henderson Hwy. LOCATION: John Pritchard Junior High, 1490 Henderson Hwy.. Athletes are placed on teams by attending Evaluation Sessions where coaches attend and offer spots to athletes on their teams. This is where athletes learn about the practice options available. Athletes are separated according to the area of the city they reside inso that they will be offered opportunities to play on teams that practice in their area as much as possible. Athletes will be asked by coaches which friends they may wish to play with. Coaches are expected to keep friends together. Athletes who reside outside the citycan choose that area that is closest to them. Parents should be prepared for the possibility that their child be asked to join a team outside their immediate area. There are a limited number of teams in each area within an age class. Athletes are expected to attend evaluations until they are placed. lf additional sessions are required these will be added as needed. 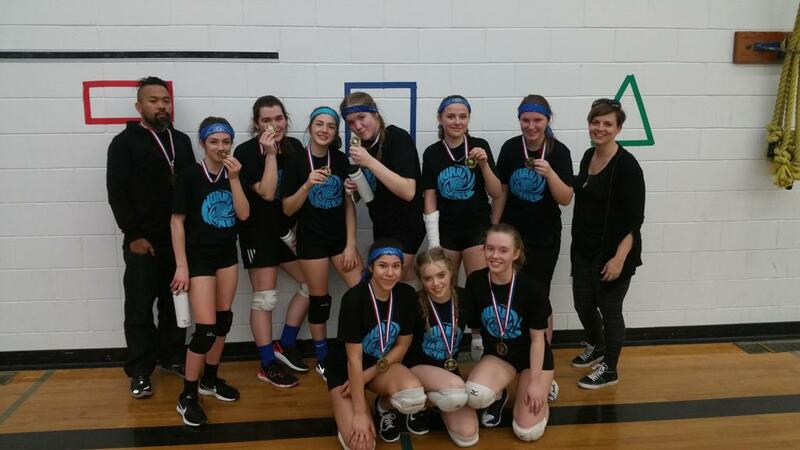 "Stars Volleyball Club" for athletes who reside in the East Kildonan & Transcona areas. An Annual Athlete Awards Banquet. The VISION Youth League is a volunteer-driven non-profit with a sincere appreciation of the need for our League Coaches. Enter one child in one VISION Camp at no cost. Free coach merchandise includes golf shirts and jackets. This is our way of saying "Thank you!" for taking the time to give back to the sport and the young athletes placing their trust in you. Thank you! The VISION Youth League is a fair-play environment. However, please remember that coaches do have the right to restrict the playing time of athletes that regularly miss practices or otherwise do not understand their assignments on the court. Furthermore, parents must also understand that not all athletes play the same position and may therefore not play equally with athletes playing other positions. The VISION Youth League is flexible with age and places athletes in tiers according to their ability. This allows athletes to improve according to their ability and to experience optimal levels of play with other athletes of similar skill levels. The league also attempts to have athletes train in their area with regional clubs. That being said, it may still be necessary for some athletes to join a club outside of their area depending on the available number of teams. It is important for new athletes to participate in the process if they wish to find a team. Athletes that cannot be placed on a team are provided a full refund. Out of town residents welcome! We have many participants who reside outside the Winnipeg-area. Our program is not limited to Winnipeg residents. 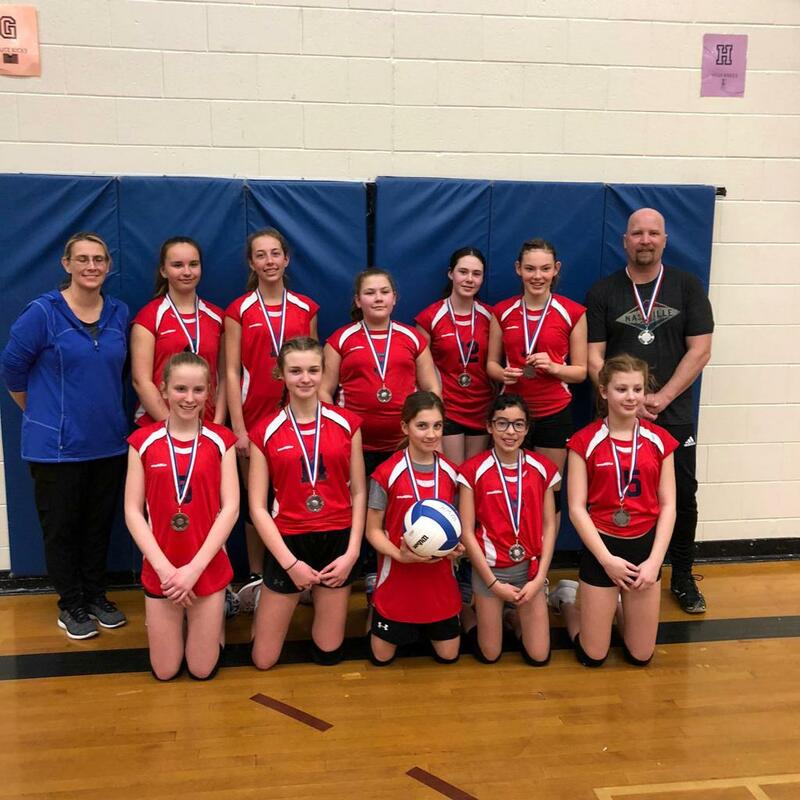 The VISION Youth League is a fun, recreational program where players are placed on teams based on the area of the city they live in and their general skill set. All games are held on Sunday afternoons so as not to conflict with school sports. The program is split into three seasons. The Fall, Winter and Spring sessions. These consist of one week-night practice and league matches on Sunday afternoons. Every season runs for 10 weeks and ends with a Championship Tournament. It should be noted that each season has a week-end break as a result of statutory holidays. Detailed schedules located at the bottom of the page. 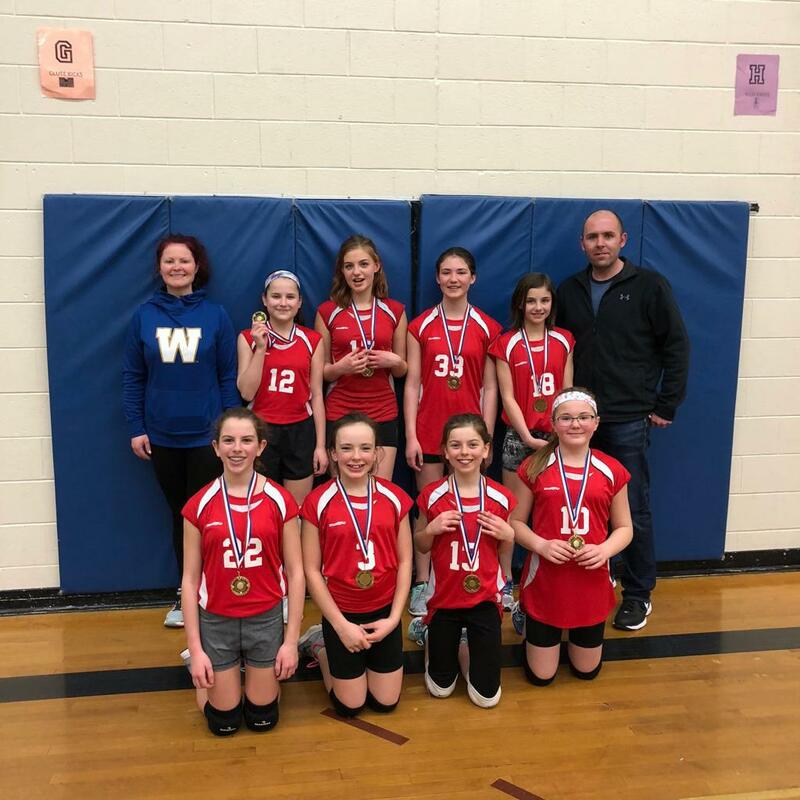 "Volleyball Winnipeg gives a lot of great opportunities and is a good environment for girls to learn and experience different teams and skills." - S. K.
"We had really good coaching and it was very fun to play. There also wasn’t pressure from my coaches and teammates to not make mistakes which I really liked, because I could just have fun!" -H.T. Feel free to read more comments from our Youth Rec League athletes on our "YOUTH LEAGUE REVIEWS" page. Sunday, January 13 - March 17, 2019. Family discount of 25% for every athlete registered after the first athlete. Example: Sally gets full price and her sister get 25% off each total!! Look out for the early bird discount! The Registration "Vision Youth League" is not currently available. Where: Crescentwood Community Centre, 1170 Corydon Ave. Note: Teams will be allocated their own tables. Pot luck event. Discuss your team's participation with your coach. "Christmas Jamboree" - Sunday, December 02, 2018.